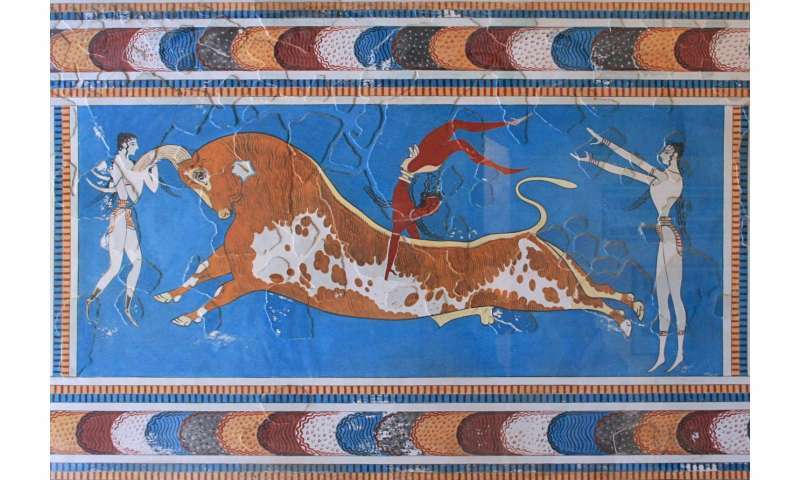 The discovery of the Minoan and Mycenaean civilizations on the island of Crete and on mainland Greece in the late 1800s gave birth to modern archaeology and opened a direct window into the European Bronze Age. This period of history had previously been glimpsed only though Homer's epics, the Iliad and Odyssey. They compared the Minoan and Mycenaean genomes to each other and to more than 330 other ancient genomes and over 2,600 genomes of present-day humans from around the world. 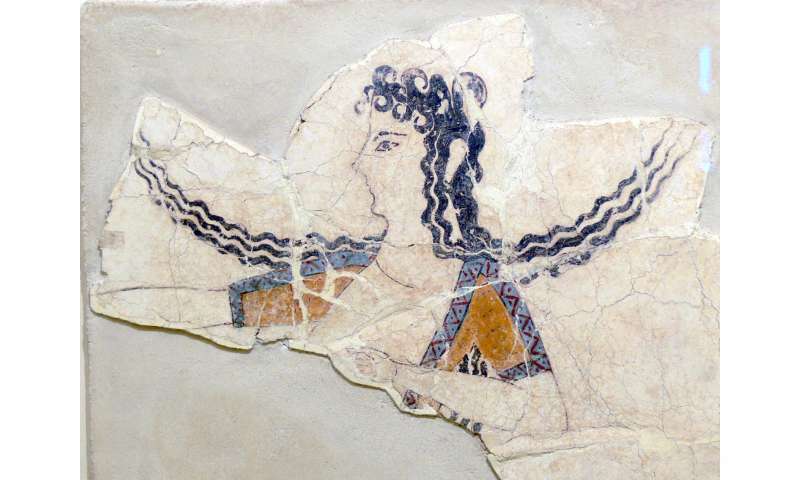 Study results show that Minoans and Mycenaeans were genetically highly similar - but not identical - and that modern Greeks descend from these populations. The Minoans and Mycenaeans descended mainly from early Neolithic farmers, likely migrating thousands of years prior to the Bronze Age from Anatolia, in what is today modern Turkey. "Minoans, Mycenaeans, and modern Greeks also had some ancestry related to the ancient people of the Caucasus, Armenia, and Iran. This finding suggests that some migration occurred in the Aegean and southwestern Anatolia from further east after the time of the earliest farmers," said Lazaridis. 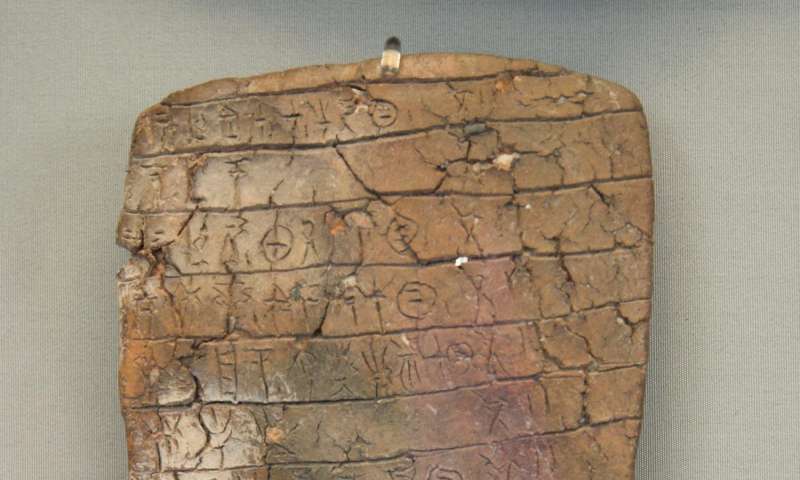 While both Minoans and Mycenaeans had both "first farmer" and "eastern" genetic origins, Mycenaeans traced an additional minor component of their ancestry to ancient inhabitants of Eastern Europe and northern Eurasia. This type of so-called Ancient North Eurasian ancestry is one of the three ancestral populations of present-day Europeans, and is also found in modern Greeks. A passion for history inspired Stamatoyannopoulos to initiate this project: "For over 100 years, many hotly contested theories have circulated concerning the origin of the inhabitants of Bronze Age, Classical, and modern Greece, including the so-called 'Coming of the Greeks' in the late second millennium, the 'Black Athena' hypothesis of the Afroasiatic origins of Classical Greek civilization, and the notorious theory of the 19th century German historian Fallmerayer, who popularized the belief that the descendants of the ancient Greeks had vanished in early Medieval times." Wonderful work, exactly what science is expected to provide. All traces back to the ancient land of AR. I have mulled over the possibility the Mycenae were the Minoans used to farm the shores of the Med who added in the few natives. Perhaps I am right. His work is good, but does not rule out another hypotheses. The ancient Israelosemitic tribe of Dan from the Exodus of about 1530BC or so...second millenium BC as the above article mentions.. migrated wtith the Exodus to the Canaanite lands. The Danites were assigned the northern Canaanite city of Laish, which the Danites conquered and renamed Tel Dan. Some Danites, however went to the shores, founded a place to settle but did not stay. They built ships and sailed to founded Mycenae in proto-Ancient Greece. Achilles probably was a Danite. Both the Danite/Mycenaens and the Danite/TelDanites were gold workers and worked similar art and practiced a slightly different form of Judaism. The only surviving large temple contruction in all Judaism is at Tel Dan in northern Israel. Mycenaens also colonized Sardinia, bringing back their shaft tomb practices to Tel Dan along with some of their artifacts and art. So Greeks are actually Turks? . . . Oops! @osiris1. maybe because religious scripts are not considered valid historical sources and no one bothers? @overthemoon... you can't be so historically illiterate to think that Anatolia was where turks lived back then, can you? Isn't it obvious? Greek myth is actually given from Phoenicians. Archeologist George Bass proved that Phoenicians had already been controlling the Mediterranean before they were superpower in the sea with many studies on oldest underwater vessel. They all mixed early-farmer people from Levantine, Fertile Crescent and Anatolia. Was not ever best love story in the history, story of Paris and Helen that is about East - West argue? Why it is similar to the myth about the king Agenor's daughter Europe? Heredot mentioned that "Thales ancestry come from Cadmus". Why Socrates said "Beauty is a short-lived tyranny?" Why Anatolian kings like Lydian were obsessed on that having a beatiful wife. I guess some stories in the history may tell us something happened real?